Wonderful old hand-painted metal sign. 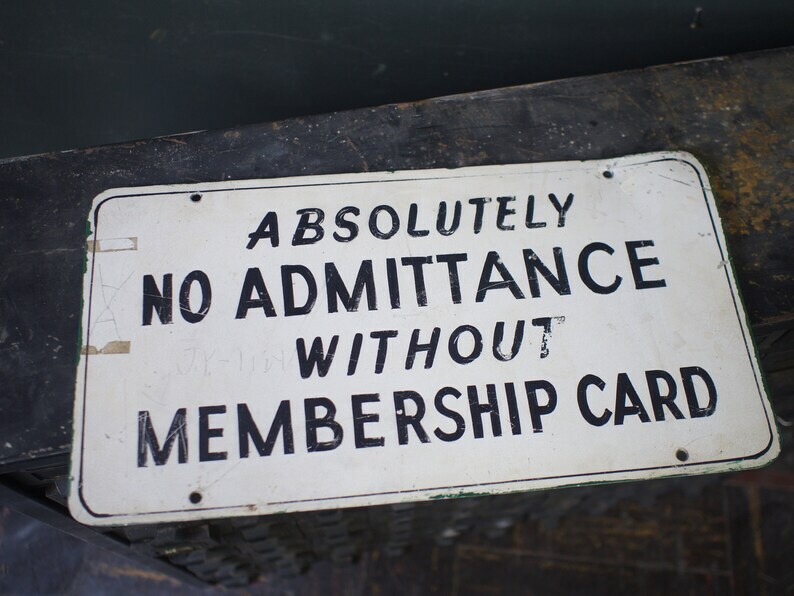 "absolutely no admittance sign without a membership card"
lots of old age wear and industrial patina. scratched name, paint on the back, a little bent on the right side, tape marks. lots of character.